Running and managing an electronics business can be challenging; you may face challenges pertaining to distribution, fulfillment, warehousing, and packaging on a daily basis. Whether you are a Fortune 500 electronics manufacturer or a small-sized electronics retail business, you can benefit from using 3PL Center’s innovative third party logistics solutions. Our industry solutions are designed to deliver high-impact efficiency for your business. The electronics industry is a billion-dollar industry that’s responsible for manufacturing a wide spectrum of consumer electronics we are so fond of today. 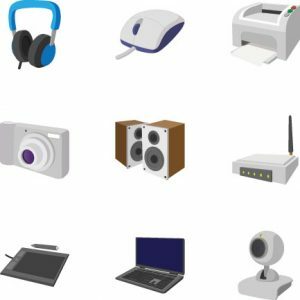 Electronic devices are built in automated and semi-automated factories, and they are made for everyday use; office productivity, home entertainment, communications, and more. The electronics industry is ever-evolving; it is constantly changing to meet the needs of consumers globally. Today, many electronics companies are changing sourcing patterns. They are trying to bring products quickly to competitive marketplace, enhancing customer service, and reducing lead times. What’s more, businesses in the electronics sector are building up customer-centric supply chains. Why Choose 3PL Center for Your Electronics Business? When it comes to third party logistics, 3PL Center is preferred choice of many electronics businesses. What’s more, we have a combined experience of more than 45 years in the 3PL industry. Since our inception, we have learnt many precious lessons about the electronics niche, and we fully understand what is needed for your business, in terms of logistics. Warehousing: We have temperature-controlled warehouses to store delicate electronics, and our warehouse management systems make it easy to track attributes such as style, color, size, expiration dates, and more. Fulfillment: By using our affordable and scalable fulfillment service, you enjoy 24/7 access to our proprietary fulfillment software. You know exactly the status of your electronics stock whenever you need an update. Distribution: When it comes to distributing your merchandise to retailers or end customers, we provide practical and innovative transportation solutions for your electronics inventory. What’s more, you get to enjoy discounted carrier rates too! Our customers’ specific requirements are our priority concerns, and that’s why we practice a client-first approach in what we do. If you seek flexibility in a certain 3PL service, the 3PL Center team will be on-task to customize our solutions to accommodate the needs of your electronics business. To start enjoying the best fulfillment services in town, simply contact 3PL Center by sending us an email to sales@3plcenter.com or giving us a call at 732-391-2500 today. We are eager to hear what you have in mind, and will develop a 3PL solution that’s unique to your needs.